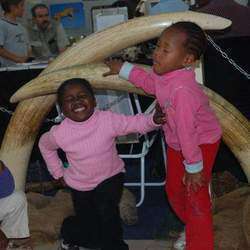 cost We are Honorary Rangers with South African National Parks, we are volunteers - we don't charge for our displays - we do it on a donation basis only. We have a Junior Honorary Ranger group that operate in most regions in SA - for those interested please contact this e-mail address for more info. We take displays to schools, we encourage learners to touch and pick up all the items on display. We take the whole day at a school and see learners age group by age group. We have picture boards, we take things like skulls, horns, teeth, skins and a whole lot more very interesting little, and big, things with us on display. 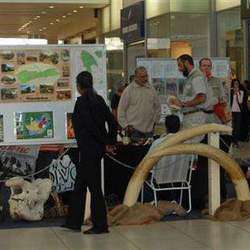 We also put up displays at shopping centres to raise awareness about national parks and the need for them. Because we are a volutary organisation we raise funds at all our displays in order to continue our awareness campaign. * At schools - It is a display that is very hands on and it takes the entire school day. * At Shopping Centres - normally we go to a centre for 3/4 days at a time, inclusive of a weekend.